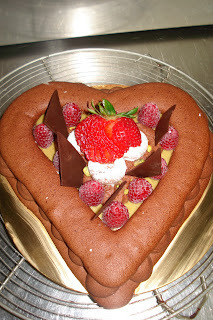 The top was covered with another chocolate macaroon.Decorated with raspberries, strawberry, macarons, tempered chocolate and chocolate mousse. 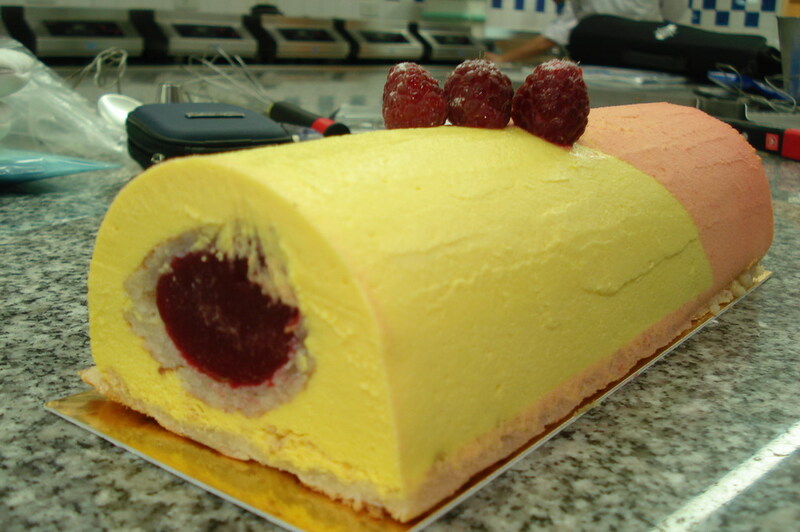 Start with masking the entire surface of buche mold with mango mousseline.Fill a tube with "creamy" raspberry and freeze. 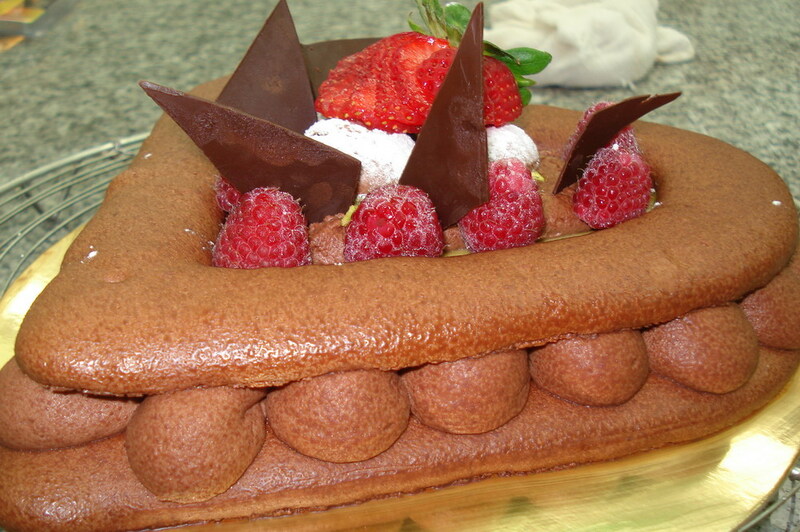 When frozen, wrap it in dacquoise biscuit and then place it in the center of the buche mould. Place crumble before sealing the log with a strip of dacquoise. I cut a plastic in triangle, placed it on the surface so only half is exposed and coated the log with pink chocolate spray. 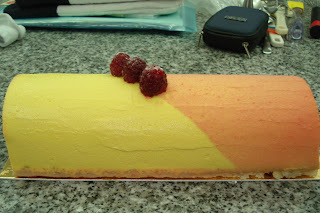 I also topped it with raspberries. I had only 2 minutes before presentation so I wasn't able to smoothen the surface of the log properly. Tarts are pies or pastry shells with fillings. 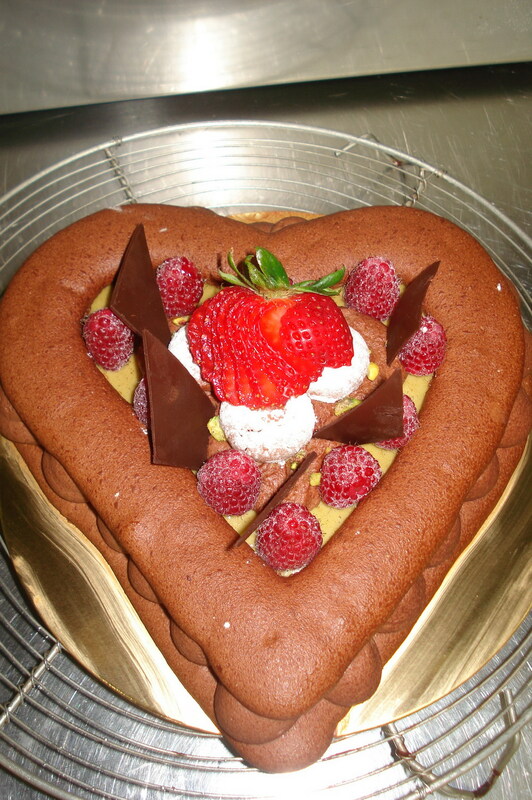 So to call this cake a tart is beyond my comprehension. I have no explanation as to how the name came up. 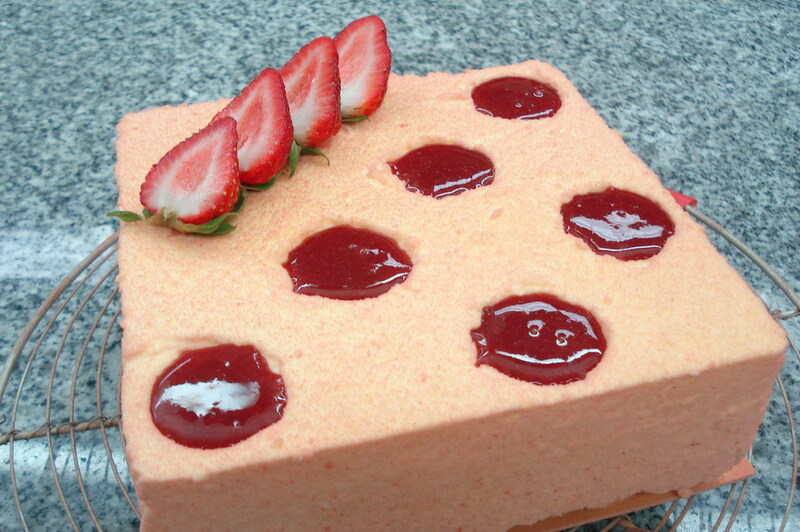 Inside is a layer of strawberry coulis, sponge cake and praline coconut crisp coated in white chablonner. The rest of strawberry coulis are placed in the holes. 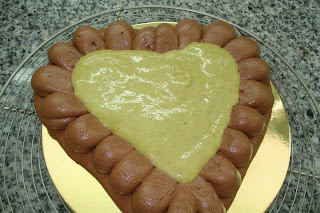 The holes aren't regular because I waited long enough before I piped the mousse in to the ring. Since we now work in teams, I let my partner finish piping first and when I started with mine, the mousse had already set making it too difficult to spread out and fill the spaces around the fleximold . Wrong move!